CRDi stands for Common Rail Direct Injection meaning, direct injection of the fuel into the cylinders of a diesel engine via a single, common line, called the common rail which is connected to all the fuel injectors. Whereas ordinary diesel direct fuel-injection systems have to build up pressure anew for each and every injection cycle, the new common rail (line) engines maintain constant pressure regardless of the injection sequence. This pressure then remains permanently available throughout the fuel line. The engine's electronic timing regulates injection pressure according to engine speed and load. The electronic control unit (ECU) modifies injection pressure precisely and as needed, based on data obtained from sensors on the cam and crankshafts. In other words, compression and injection occur independently of each other. This technique allows fuel to be injected as needed, saving fuel and lowering emissions. CRDi technology revolutionized diesel engines and also petrol engines(by the introduction of GDI technology). • More power is developed. • Particulates of exhaust are reduced. • Exhaust gas re-circulation is enhanced. • Precise injection timing is obtained. • Pilot and post-injection increase the combustion quality. • More pulverization of fuel is obtained. • A very high injection pressure can be achieved. • The powerful microcomputer makes the whole system more perfect. • It doubles the torque at lower engine speeds. 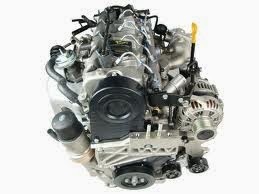 The main disadvantage of CRDi is that this technology increases the cost of the engine. Also, this technology can't be employed in ordinary engines.